BLACK 50/50 Blend Short Sleeve T-shirt, with custom screen print design. 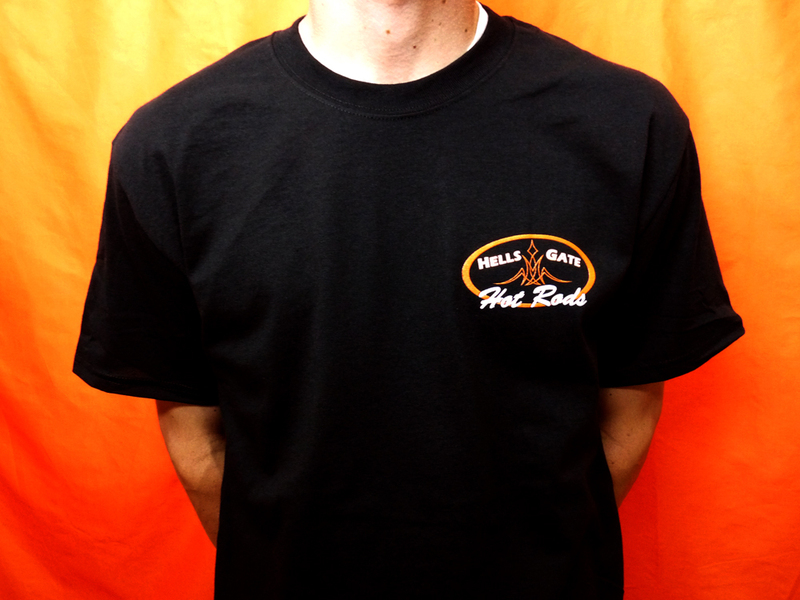 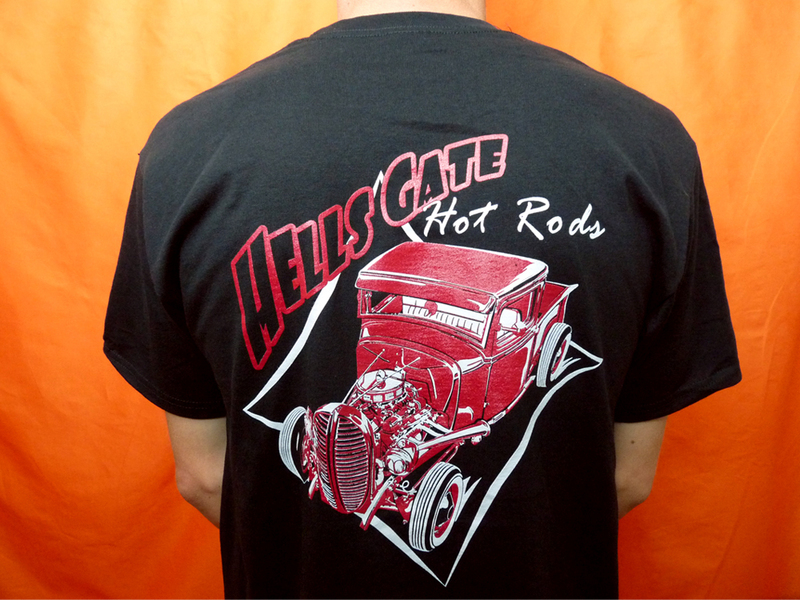 Front design: Hells Gate Hot Rods logo; Back design: ’34 Ford Hot Rod Truck. 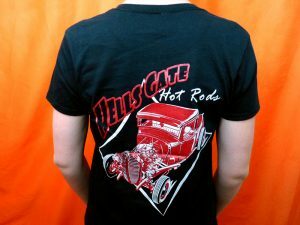 Did not have in stock.